Possibility to mount a roller (with a dedicated PWM driver inside the handle) on the front plate for third proportional function. Current output range (PWM): from 100 to 1600 mA. Dither frequency: from 60 to 250 Hz (100 Hz factory preset). Up to 6 push buttons on the front plate (only if there isn’t the roller mounted). Up to 3 push buttons on rear plate. Joystick connector type: Deutsch DT. Dedicated cable kit with AMP JT connectors for the connection with sole­noid valves. Dedicated calibration and configuration tool for setting: Imin, Imax, ramps, duty cycle, dither frequency. PWM signals calibration: using an apposite software for PC and a RS232 serial line communication. 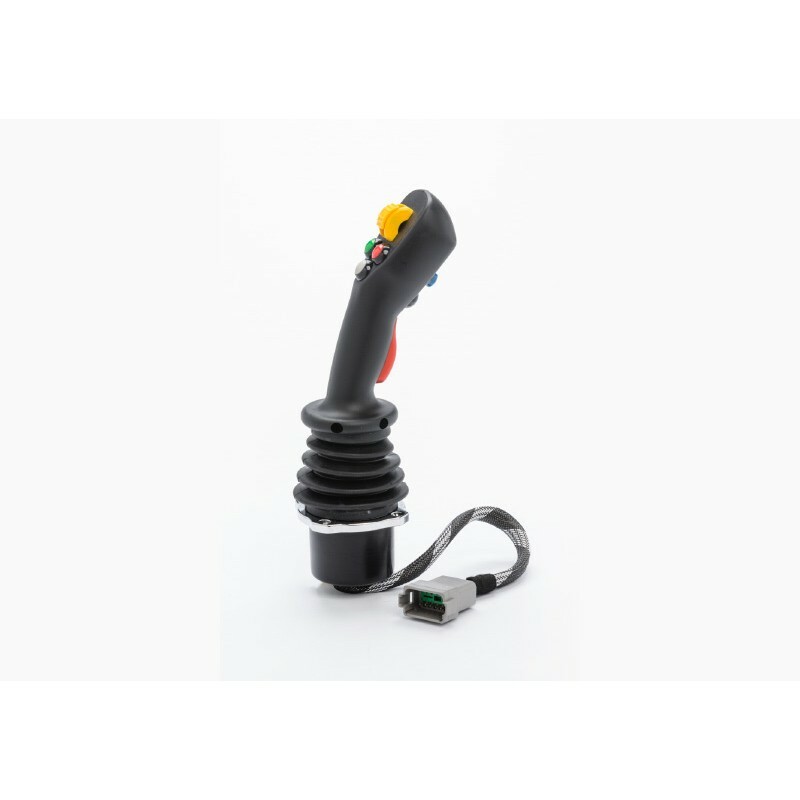 It is necessary a special programming cable in order to realize the connection between the joystick and the PC.